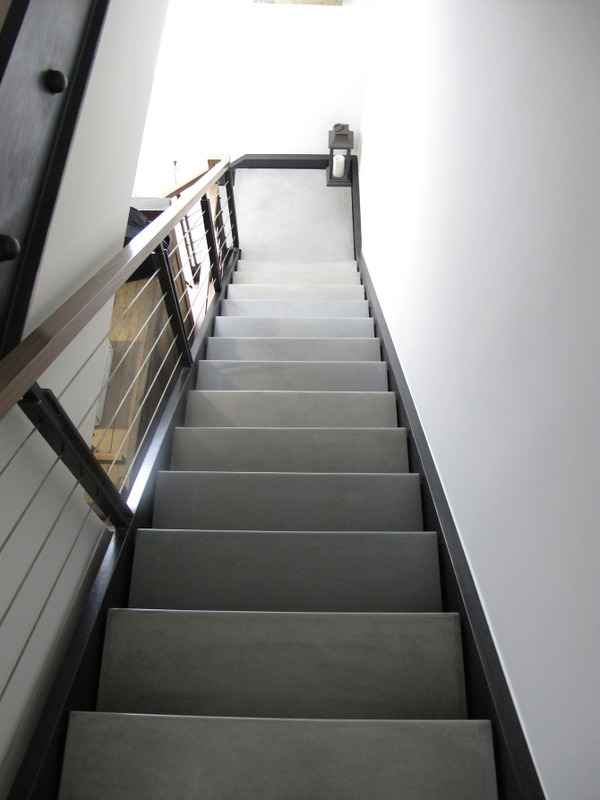 Custom cast concrete stair treads are a beautiful way to finish any stairway. We can customize the thickness of each stair, dimensions, color, and offer a variety of edge profiles. We also offer delivery and installation in the NYC area. Shown here are images from our Williamsburg townhome project. 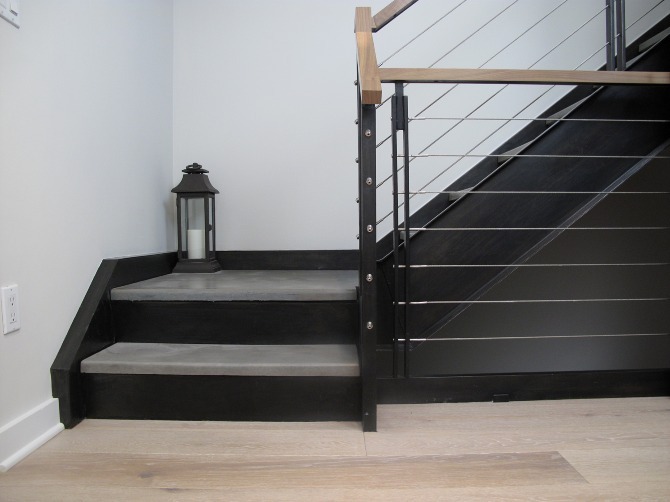 We custom cast three floors of gray bullnose edge treads that rest securely on a blackened steel frame. We also cast two matching concrete landing pads where the stairs turn directions.